The occurrence of extreme rainfall events, associated mass movements, and flash floods especially during recent years motivated the study on the spatiotemporal rainfall variability over Burundi. This study used data from distinct sources: surface observation (1981–2010), Climatic Research Unit (CRU), Global Precipitation Climate Centre (GPCC) for the period 1960–2010, and European Centre for Medium-Range Weather Forecasts (ECMWF) for the period 2001–2017. This study analyzed the main features of rainfall over the study domain and demonstrated that extreme rainfall contributed to mass movements and flash flood hazard that characterize some sections of the study domain. Analysis revealed a decrease of rainfall and number of rainy days, supported by a generally decreasing trend for annual and seasonal rainfall. The short rains that occur during September–December experienced significant variability than long rains that occur during March–May, especially from 1990s. The study further identified the west, east, and north-east parts of Burundi to be more sensitive to extreme events than other sections of the study domain. The analysis carried out the existence of high variability of rainfall which starts from 1985 with significant decrease of rainfall from 1990. The occurrence of extreme rainfall during short rains has been attributed to wind circulation anomaly due to influx of air mass from Congo basin, local topography, and local wind patterns. This study contributes to understand the spatiotemporal rainfall variability, the relationship between extreme rainfall events, and its possible impact on territory management and will help in forecasting and monitoring future extreme events over Burundi. This work was financially supported by the National Natural Science Foundation of China (No. 41271410 and No. 41071253). 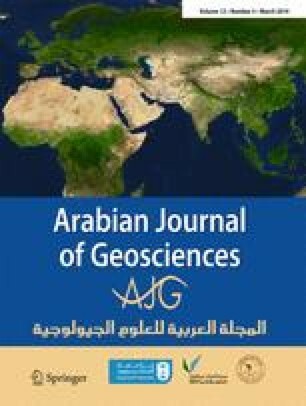 The authors would like to thank Nanjing University of Information Science and Technology, Geographical Institute of Burundi (IGEBU), Climate Research Unit (CRU), Global Precipitation Climate Centre (GPCC), and European Centre for Medium-Range Weather Forecasts (ECMWF) for providing the data used in this study. The authors express their appreciation to the handling editor and anonymous reviewers for their careful reviews and helpful remarks.